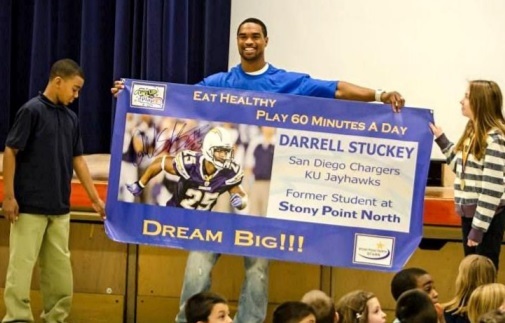 Former Stony Point North student and current NFL player, Darrell Stuckey, participated in an entire day full of special activities at SPN on Wednesday, March 12th, 2014. 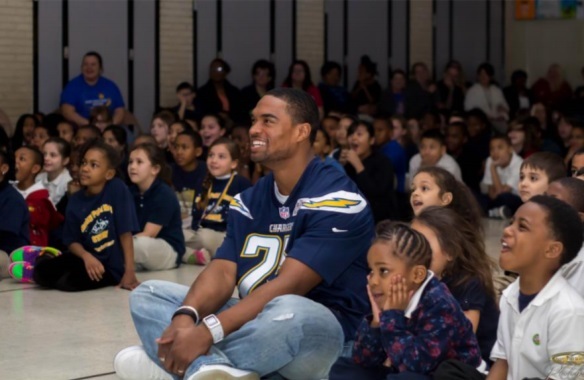 Currently a player and a captain on the San Diego Chargers in the National Football League, Darrell attended Stony Point North for Kindergarten through 5th grade from 1992 through 1998.
a special surprise "homecoming" assembly that had also been planned for him. At the beginning of this "homecoming" assembly, Darrell was surprised by the attendance of nine of his former teachers who told stories of their memories of Darrell as a student at SPN. A special video of Darrell that had been created for this assembly was then shown which displayed photos of Darrell as a student at SPN from Kindergarten through 5th grade. 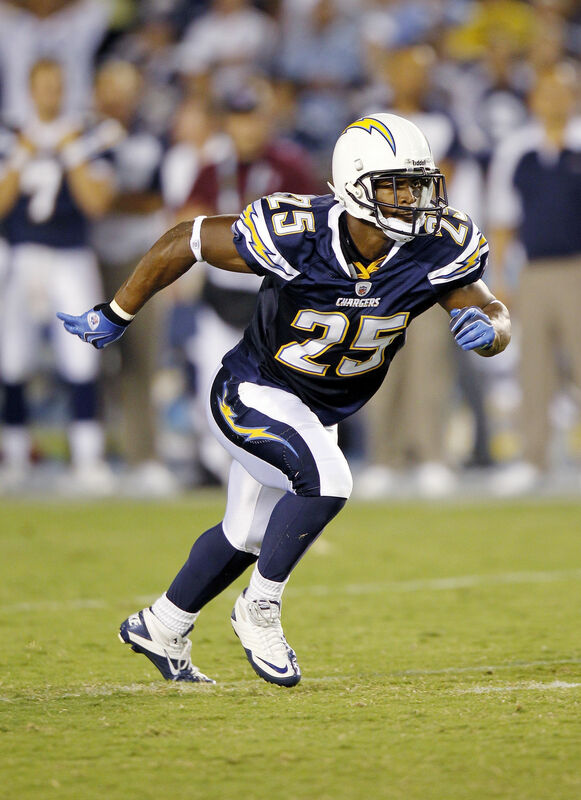 The video also included highlights of his life after leaving SPN with video of Darrell as a football player for the KU Jayhawks and as member of the San Diego Chargers. Darrell then spoke to the students at the assembly on the importance of healthy eating and being physically active as a part of the NFL Play 60 program. He also talked to the studentsabout anti-bullying. Near the end of the assembly, Darrell was presented with several gifts from SPN students which included an SPN T-shirt and an SPN wristband. Darrell was then shown a new banner that was created with his picture on it which he autographed. The banner was later placed on a wall in the gym. 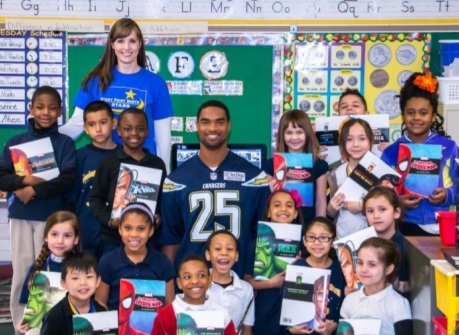 During Darrell’s day long visit at school, he visited every classroom and he presented every student with a book that he had personally donated. Darrell also set up special literacy contests for the students after they had read the books with special prizes for the winners and all participants that entered the contests. To view the video that was especially created by SPN PE for Darrell Stuckey for this assembly click on the picture below.